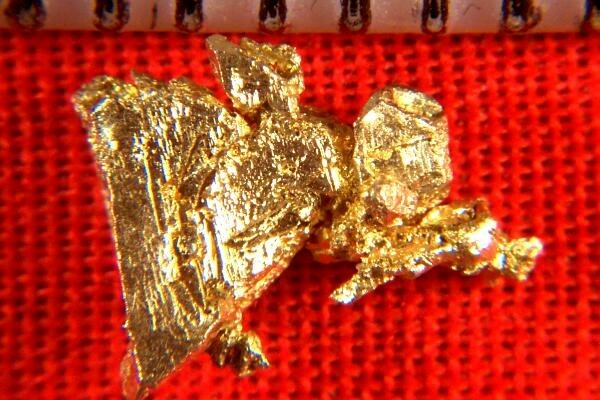 This hoppered gold crystal specimen from Nevada is 3/8" (9 mm) long. 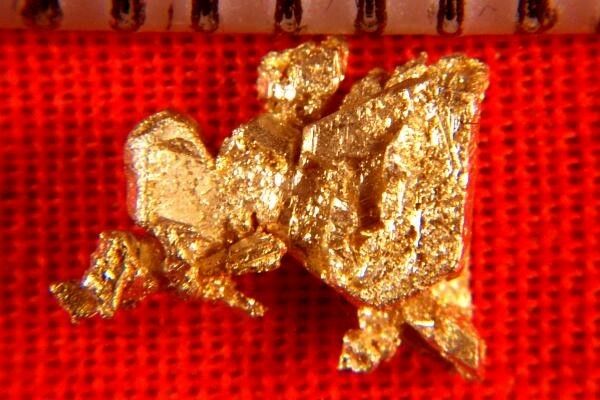 The photos do not do it justice as it has multiple hoppered gold crystals in a very unique formation. The color is stunning and overall it is a super nice gold crystal specimen. Like my other Round Mountain gold crystals, this one is one-of-a-kind and very unique.